2 bedroom apartment in the centre of Torrevieja. 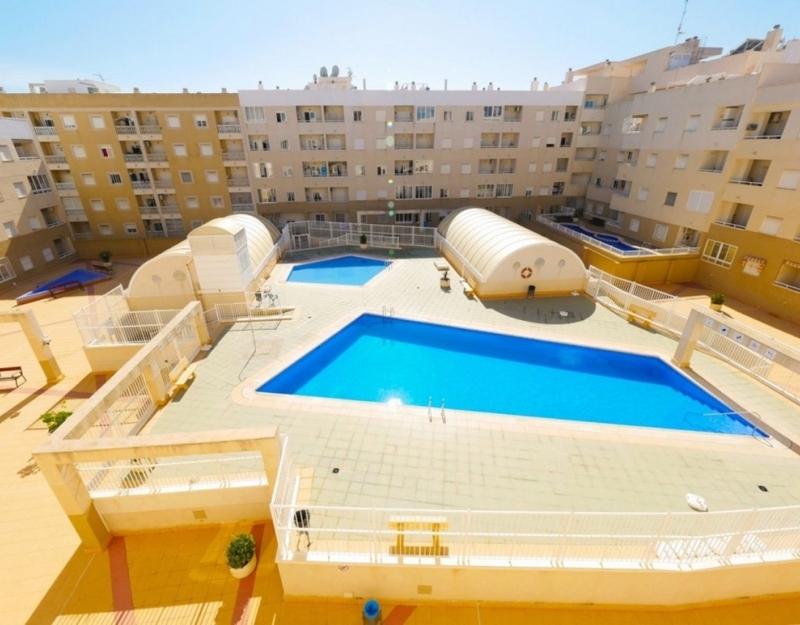 The property is located in a building that has a large communal area with communal pool and 2 lifts, located in an area with all services nearby and a few minutes walk to the beach and seafront area of Torrevieja. Inside comprises of a living room with access to a glazed terrace, a fully equipped kitchen with access to a laundry patio, 2 double bedrooms with fitted wardrobes and a bathroom. The house is sold furnished with appliances.